Should you want to a review a book, please use the following guidelines. If you have any questions, contact the Book Reviews Editor, Lora Arduser, lora.arduser@uc.edu. Please provide the information exactly as it appears on the copyright page of the book and provide a link to the publisher’s website. In approximately 1,500 to 2,000 words, summarize and analyze the primary thesis of the book. (If necessary, you may take more space.) The review should be divided into two sections (summary and analysis) of approximately equal length. What is the primary thesis/argument of the book? What issue(s) or problem(s) does the book attempt to solve? In your opinion, how effective is the book at resolving the issue? What are the major strengths of the book? Who is the primary audience for this book? What will this audience get from reading the book? References to the book being reviewed only need the page numbers. References to other works should following in-text and reference list guidelines per the journal’s submission policy. Please submit the book review in Microsoft Word format using Times 12 point (double spaced). Please include your preferred email address and telephone number in your email. The RSA 2020 call has come out. RHM scholars have typically had a strong showing. If you want assistance in forming panels or please join us for Third Thursday on 3-21-19 or find us on Facebook in the Flux group. Rhetoric of Health and Medicine (RHM), of course, is a growing, interdisciplinary field of study marked by what Melonçon and Scott (2018) have called “methodological mutability” or “a willingness or even obligation to pragmatically and ethically adjust aspects of methodology to the phenomena under study”; they make it clear that RHM is still very much in the process of defining its commonplaces and remains tentative about staking out borders. Still, a strong enough corpus of recognized work in RHM might suggest tacit borders to our work worth further consideration as these topoi might very well impede the important project of intentionally and thoughtfully growing the field. At the same time, RHM scholars must be mindful of the ways they are dipping into and out of related fields of study such that those fields’ commonplaces are considered or even honored. This roundtable, thus, will hope to offer insight into commonplaces that are implicit in RHM work in order to deconstruct any “borders” these might be creating and, in turn, provide guidance on how we might keep our borders fluid and open to new ideas, energies, and participation. The objective of the roundtable is to foster interactive discussions between and around these issues and among presenters and the audience. To this end, we invite proposals for modified ignite (5-minute) presentations where participants provide an overview of their primary research or a review of existing literature, discussed within the framework of commonplaces or topoi. Each presenter will be asked to conclude with a question they will pose to the audience to foster discussion. Once all presenters have finished speaking, attendees will break into small groups to discuss the questions/topics presented. What commonplaces characterize existing RHM literature, and how does your work relate to or challenge thesetopoi? Using commonplaces as a framework, how does RHM interact with related disciplines, such as, for example (but certainly not limited to): disability studies, health communication, or the medical humanities? If RHM commonplaces erupt organically, how can we be mindful of their appearance and purposeful in how we support, sustain, or interrupt them? Please submit 250-word proposals to molloycs@jmu.edu by April 26, 2019. Submissions from co-authors considered. Queries welcome. The final question(s) you will use to engage the audience in a conversation at the end of the presentationResponses will be sent out before the CCCC deadline of May 6, 2019. It’s that time of the year when RHM scholars convene at the CCCC’s conference. We always have activities planned so we would love to welcome new friends and to catch up with old friends. You can meet the editors of Rhetoric of Health Medicine at the ATTW Editors’ Roundtable from 3:15-4:30 on 3/12, and at the CCCC Research Network Forum the morning of 3/13. Come and introduce yourself and tell us about your work. The location is just a couple of blocks from where the convention center. Thursday, March 14 from 6:30 to 7:30 PM in room 407 of the Convention Center. what are pressing topics that we need more work on? how can be more inclusive in our research practice? what are some effective practices for moving into community based research? how can expand out methodological ethics? what suggestions to get more folks involved in RHM? how can we make our work more public? I hope that you’re finding time to rest and recuperate during this down time between terms. Over at the journal, Rhetoric of Health and Medicine, we continue to work hard in moving manuscripts through review, and we’ve also been working through proposals for RHM’s second special issue (in 2020) on the rhetoric of mental health. This explanation does three important things: (1) it continues RHM’s dedication to making the review and publishing process as transparent as possible; (2) it provides a type of accountability to the editorial board, the readers , and to the broader RHM community; and, finally, (3) it simply explains the process for those who submitted to this special issue and those that will, hopefully, submit to the journal in the future. We received 57 proposals, which is a healthy number for a special issue of any journal, and we were quite pleased with this turn out. Contributors spanned a number of RHM related fields (e.g. composition, rhetoric, communication studies, technical and professional communication, and allied health fields, etc.) and held a variety of different ranks and titles (e.g. graduate students, grant-funded researchers, tenured professors, healthcare practitioners, etc.). Cathryn Molly and Drew Holladay, special issue co-editors read anonymous versions of the proposals and selected 12 to move forward to the second state of review for research articles. The main factors that lead proposals to the second round of review: (1) were they clearly connected to mental health and disability and (2) did they include a direct engagement with Rhetoric. (See our captioned video or transcript on what we mean by rhetoric). In addition, the co-editors tried to move forward a diverse set of proposals based on topic and methodology. Those 12 proposals were then forwarded to Blake Scott (co-editor of RHM) and two members of our editorial board: a mental and health disability specialist, Jenell Johnson and someone versed but not a specialist, Scott Graham. While other members of the editorial board also have expertise, Scott and Jenell represent the two big “sides” of RHM’s audience: English studies (including rhetoric, composition, technical communication and some linguists) and communication studies (including rhetoric, health communication and applied research methods). The three of them were asked to rank the proposals from 1 to 12, with 1 being the best. Each reviewer was familiar with the CFP, but beyond that no other ranking instructions were given because we wanted their responses to be based on their own readings of the information presented in the proposals and their own perspectives of the proposals’ relevance and timeliness. I collated those responses, while Drew and Cathryn also ranked the anonymous proposals. As co-editors of the special issue, one of Cathryn and Drew’s jobs is to set the focus of the issue. Therefore, they ranked the proposals based on how things talk to each other holistically. A guiding factor, therefore, was how well each individual proposal worked toward a coherent issue that gets a bunch of things represented and shows the breadth of RHM work and influence. To do this, they prioritized diversity in methods, issues, theory/concepts, and sites of study and application.In the end, we accepted seven proposals and have invited those contributors to submit full manuscripts that will be sent through the regular peer review process. This means the proposal acceptance rate was 12%. It is important to note that even though these proposals were accepted, the odds are that at least two to four of the manuscripts will not make it through the peer review process. Unlike many special issues, RHM does not have to fill pages (so to speak), which means that we can maintain our rigorous standards. We will not accept and publish an essay that is not actually ready. After taking a hiatus in 2017-2018, we’re bring back Third Thursdays, which is a dedicated time on the Third Thursday of the each month to talk about issues related to your work specifically in RHM and your work in general. While previous iterations of Third Thursdays started at 3:00pm across time zones, the limitations of folks schedules have made it to where we’re picking a time and hoping you can plan ahead to join us. The time will be contingent in part on the facilitators schedules. The room access information does not change. The room will open a few minutes before the scheduled time. In the inaugural issue of the Rhetoric of Health & Medicine (RHM)J. Fred Reynolds (2018) offered a “A Short History of Mental Health Rhetoric Research (MHRR)” in which he compellingly documented the “significant body of work applying the tools and terms of rhetoric to the world of mental health” that emerged in the 1980s and continues today, if in fits and starts (p. 1). Reynolds’ history raises important questions on how the issues and challenges unique to MHRR create space for the field to set a specific agenda for its development—to make explicit the major epistemological assumptions, the key questions, and the various vantage points that will undergird the future of this important area of inquiry. In the past, rhetoricians have studied issues of mental health from a variety of (inter)disciplinary angles: technical/professional writing vantages (Reynolds, Mair, & Fischer; Berkenkotter; Holladay); critiques of the linguistic entanglements of the professionals who seek to treat mental health (McCarthy & Gerring; Berkenkotter & Ravotas); examinations of how publics encounter and make sense of mental difference (Leweicki-Wilson; Segal; Emmons; J. Johnson; Price; D. Johnson Thornton); and through studies of “patients’” discursive behaviors (Prendergast; Molloy; Uthappa). The 2020 special issue of Rhetoric of Health & Medicinewill ask writers to engage this important body of research as well as scholarship in RHM more generally, but it will also ask writers to make connections between this area of emphasis and related bodies of scholarship (such as disability studies) and to productively critique, challenge and extend this work. How do discourses surrounding mental health patients’ compliance/adherence/concordance with treatment plans and protocols impact quality of care? What insights might MHRR lend to critical discussions of clinical conversations? Cathryn & Drew are very willing to answer email queries: molloycs@jmu.eduand holladay@umbc.edu. Please email 500-1000 word proposals (excluding citations) to rhm.journal.editors@gmail.com by December 10, 2018. Completed manuscripts for accepted proposals will be due March 25, 2018. Berkenkotter, Carol. “Genre Systems at Work: DSM-IV and Rhetorical Recontextualization in Psychotherapy Paperwork.” Written Communication, vol. 18, no. 3, 2001, pp. 326-349. —.Patient Tales: Case Histories and the Uses of Narrative in Psychiatry. U South Carolina P, 2008. Broderick, Alicia A. “Autism as Rhetoric: Exploring Watershed Rhetorical Moments in Applied Behavior Analysis Discourse.” Disability Studies Quarterly, vol. 31, no. 3, 2011, n. pag. Emmons, Kimberly K. Black Dogs and Blue Words: Depression and Gender in the Age of Self-care. Rutgers UP, 2010. Heilker, Paul, and Melanie Yergeau. “Autism and Rhetoric.” College English, vol. 73, no. 5, 2011, pp. 485–497. Holladay, Drew. Classified Conversations: Psychiatry and Tactical Technical Communication in Online Spaces. Technical Communication Quarterly, vol. 26, no. 1, pp. 8–24. Jack, Jordynn, and L. Gregory Appelbaum. “‘This Is Your Brain on Rhetoric’: Research Directions for Neurorhetorics.” Rhetoric Society Quarterly, vol. 40, no. 5, 2010, pp. 411–437. Johnson, Davi. “‘How Do You Know Unless You Look?’: Brain Imaging, Biopower and Practical Neuroscience.” Journal of Medical Humanities, vol. 29, no. 3, 2008, pp. 147–161. Johnson Thornton, Davi. Brain Culture: Neuroscience and Popular Media. Rutgers UP, 2011. Johnson, Jenell. “The Skeleton on the Couch: The Eagleton Affair, Rhetorical Disability, and the Stigma of Mental Illness.” Rhetoric Society Quarterly, vol. 40, no. 5, 2010, pp. 459–478. —.American Lobotomy: A Rhetorical History. U Michigan P, 2014. Kopelson, Karen. “‘Know Thy Work and Do It’: The Rhetorical-Pedagogical Work of Employment and Workplace Guides for Adults with ‘High-Functioning’ Autism.” College English, vol. 77, no. 6, 2015, pp. 553-576. Lewiecki-Wilson, Cynthia. “Rethinking Rhetoric through Mental Disabilities.” Rhetoric Review, vol. 22, no. 2, 2003, pp. 156–167. McCarthy, Lucille Parkinson, and Joan Page Gerring. “Revising Psychiatry’s Charter Document DSM-IV.” Written Communication, vol. 11, no. 2, 1994, pp. 147–192. Molloy, Cathryn. “Recuperative Ethos and Agile Epistemologies: Toward a Vernacular Engagement with Mental Illness Ontologies.” Rhetoric Society Quarterly, vol. 45, no. 2, 2015, pp. 138–163. Prendergast, Catherine. “On the Rhetorics of Mental Disability.” Embodied Rhetorics: Disability in Language and Culture, edited James C. Wilson and Cynthia Lewiecki-Wilson, Southern Illinois UP, 2001, pp. 45–60. Price, Margaret. Mad at School: Rhetorics of Mental Disability and Academic Life. U Michigan P, 2011. Reynolds, J. Fred. “The Rhetoric of Mental Health Care.” Rhetoric of Healthcare: Essays toward a New Disciplinary Inquiry, edited by Barbara Heifferon and Stuart C. Brown, Hampton, 2008, pp. 149-158. Reynolds, J. Fred, David Mair, and Pamela Fischer. Writing and Reading Mental Health Records: Issues and Analysis in Professional Writing and Scientific Rhetoric. Erlbaum, 1995. Uthappa, N. Renuka. Moving Closer: Speakers with Mental Disabilities, Deep Disclosure, and Agency through Vulnerability. Rhetoric Review,vol. 36, no. 2, 2017, pp. 164–175. Walters, Shannon. “Autistic Ethos at Work: Writing on the Spectrum in Contexts of Professional and Technical Communication.” Disability Studies Quarterly, vol. 31, no. 3, 2011, n. pag. Yergeau, Melanie. Authoring Autism: On Rhetoric and Neurological Queerness. Duke UP, 2017. On June 9, 2018, researchers in rhetoric of health and medicine (RHM) met at George Mason University (GMU) to identify mentorship and collaboration opportunities at the first Virginia Colloquium on the Rhetoric of Health and Medicine (VCRHM). Led by Heidi Y. Lawrence and Elizabeth Ferguson, VCRHM was created to connect RHM researchers of varying levels of experience, by providing a dedicated space and time to share RHM research interests, needs, and goals. By partnering with scholars from Virginia Tech—Bernice L. Hausman, Kelly Pender—and from James Madison University—Lori Beth De Hertogh, Michael J. Klein, Cathryn Molloy—Heidi Lawrence won a $16,500 Collaborative Research Grant from 4-VA to help fund the event. Due in part to this explicit goal of mentoring student researchers, the majority of the grant funding went to honoraria for student presenters and to compensation for GMU students—including Lourdes Fernandez and Rachael Graham Lussos—who helped plan, prepare, and conduct the one-day event. The event kicked off with a keynote address by Kirk St.Amant, on the topic of the cultural context of care. He explained that different cultures—both internationally and locally—prioritize the point of intervention in healthcare in different ways. He then provided a heuristic for a “chronology of care,” to help RHM scholars and technical communicators consider user experience in healthcare contexts across cultures. After the keynote and other presentations throughout the day, VCRHM participants engaged in lively and cumulative Q&A discussions with speakers and other participants. Jenny Moore’s presentation on her archival research of discourses by the La Leche League’s founding members generated questions and anecdotes on participants’ personal experiences working with the breastfeeding advocacy and support group. Elizabeth Ferguson’s presentation on the rhetorics of outbreaks and epidemics in Morbidity Mortality Weekly Reports sparked a discussion about the changing meaning of “epidemic” when applied to health conditions or activities instead of viral or bacterial diseases.Kelly Scarff’s presentation on citizen advocacy for construction of an Appalachian pipeline generated a conversation about the difference between rhetorical empathy and identification. Sarah Singer’s presentation on health literacy and Lyme disease led to a discussion about the construction and valuing of medical and scientific knowledge. Finally, leading a panel with two undergraduate researchers, Neil Feste and Prerna Das, Bernice Hausman started a conversation about collaborative research that involves faculty, graduate students, and undergraduates from multiple disciplines. In addition to the prepared talks and presentations, VCRHM included two semi-structured opportunities for participants to exchange ideas, grow their professional networks, and learn more about the wide range of RHM scholarship happening in Virginia and nearby states. Assigned groups met during lunch to make introductions and share observations on topics of professional development. Then a lightning round of informal presentations allowed researchers to briefly pitch current research projects and concerns, which were met with immediate feedback from researchers doing similar work. Before closing, Heidi Lawrence solicited ideas from the VCRHM collective on how to help participants stay connected throughout the year, keep the day’s conversations going, and create a space for generating collaborative research efforts. After collecting suggestions for possible tools and processes, Heidi Lawrence closed the event with the expressed hope that having connected RHM researchers within and near the Commonwealth, we can look toward future collaborative efforts to engage community partners, perhaps beginning at the next VCRHM. The goal for the next academic year is to get more content posted here. on the blog that specifically engages with ongoing work or ideas related to the community of RHM. Since it is often helpful to have models of what we mean, the following is an example of the type of content we would like to host here. If you would like do an interview or participant in one, please contact us. It is an interview that Sushil Oswal did with Lisa Melonçon about her work that draws on the theories of Sara Ahmed and pays particular attention to embodiment. The interview came about because of Lisa’s contribution to a special issue that Sushil edited on accessibility and disability in the business and professional communication classroom. Since these issues cross disciplines and the latter part of the interview moves directly to RHM, we decided to post it here. The end has specific directions of research that RHM can move toward that incorporates the work of Sara Ahmed. SKO: Could we go back a bit to trace the genesis of the project? When and how did you start thinking of Sara Ahmed’s work in relation to this project for the special issue of Business and Professional Communication Quarterly? LM: Ahmed’s work has been on my mind for some time. She’s one of those scholars whose work I had read because I appreciated the way she writes and thinks but I hadn’t tried to apply it in anyway. In 2017, I was supposed to do a presentation at the CCCCs, “Cripping” the Writing Classroom: Normalcy, Access and Accessibility Statements,” which was a critique of accessibility statements on syllabi. In preparing for that presentation (which I was unable to give due to an illness), I wanted a way to theoretically ground the main idea that forced inclusion of diversity statements was contradictory to the ideas of access and was simply perpetuating a limited view of normalcy. This presentation was the background thinking that led to the BPCQ piece. Since in technical and professional communication and business communication, we’re starting from scratch in many ways pedagogically and programmatically around issues of access and inclusion, these moves need be theorized as well as applied. That’s when I realized that if you’re starting from scratch and you may be pushing against institutional norms that the first step would be an orientation step. Enter Ahmed. Not only for her ideas around orientation but also her work On Being Included, which is closely analogous to wanting to change policies or make policies more meaningful and actually inclusive. And that idea of inclusiveness is at the heart of this piece in BPCQ. SKO: Could you also provide the RHM audiences with some background of this research? What sort of entrepreneurial scholarship was involved in taking up this topic? LM: What I like about this question is that it forced me to think through the steps of weaving multiple strands of scholarship—even quite disparate scholarship—together. Few people would put together business and professional communication and Sara Ahmed and disability studies, but that was one reason I wanted to do it. Ahmed’s work is highly relevant and it does exactly what good theory is supposed to do: encourage you to think differently. I had been wanting to find a way to theoretically ground this idea of that we needed to shift our pedagogical and even programmatic focus. Tanya Titchkosky’s work on access in higher education was what I thought of first, but then I realized I could move from the practical aspects of accessibility and usability to Titchkosky’s access to Ahmed. In my head, it worked seamlessly because I knew what broader intellectual traditions they were coming from. It was a little harder, well, a lot harder to weave that together in a way that would make sense for the more practically applied context of BPCQ. There is a growing number of folks in RHM who approach RHM from a disability studies background, so in some ways the movement of including Ahmed or various divergent strands of scholarship are sort of par for the course. But, this project and my own work in RHM underscores the need to read wide and deep in a way that can truly ground RHM work in multiple domains. You use the word entrepreneurial, which is a pretty good way of talking about it. In RHM, we’ve had to be entrepreneurial in not only establishing the space for this field, but also, and more importantly, in showing how the work we do is actually a “thing” that no longer comfortably fit into other areas within the large rhetoric and writing studies umbrella. SKO: You draw on Ahmed’s broad institutional critique in On Being Included and then you also engage her more identity-centered scholarship on queer theory: Could you quickly synopsize Ahmed’s thought in these areas for our readers who might not be familiar with her work? LM: Well, Sushil, that’s a big, huge question that is setting me up to really not do justice to Ahmed’s work. [insert laugh here.] But what I will do is a version of Melonçon bottom line, which is how I explain complex ideas and scholarship to students as a way to get them initially interested and to prompt questions. So since there won’t really be a chance for a lot of follow-up questions here, I ask readers to understand that I do know I am oversimplifying for the sake of space and time. In On Being Included, Ahmed makes the claim that once policies are institutionalized they often advance the same behavior they are trying to counter. While on the surface, this claim seems backward, Ahmed actually makes an astute observation. The moment we create a policy about, say diversity, we have institutionalized it to the point that often people simply point to the policy rather than doing the work of the policy. Her stance really resonated with me because I had seen this happen many, many times when I worked as a consultant. I would be brought in to fix something and often one of the first things people said or gave to me was the company’s policy on the very thing I was there to address. So the takeaway there, which is particularly relevant to a lot of policies ripe for analysis in RHM, is that we—scholars and citizens and employees and community members—need to consistently question and more importantly, to consistently do the work of actually making change. Of putting the work of the policy into action. Ahmed’s other work on queer theory, identity, and emotion has been instrumental to the way that I approach research questions. So to again take her work down to the lowest common denominator, I am reminded of her description in Queer Phenomenology about how racialized bodies move through space and how their orientations take up space. Her premise is that spaces become racialized in how they are oriented and different bodies are allowed to move through them. This idea alone can be used in a lot of different ways, as evidenced by my taking only a small sliver and using it in the BCPQ piece. But this whole idea of the multiple versions of orienting has tremendous potential for asking different questions about the spaces of healthcare, and in particular to some of my own research around health literacy and health disparities, how people move through these healthcare spaces. There is something about the way Ahmed writes that enabled me to see and to understand issues of race and gender (that can also be ported onto class) in ways that I had not seen before. SKO: Thank you for this wonderful introduction to Ahmed’s scholarship in the area of diversity, inclusion, and identity politics. Could we now move over to some of the key connections you are making in this BPCQ article and why do they matter for academics working in the general field of technical and professional communication? LM: If folks read the BPCQ piece the one thing I want them to take away is that Ahmed’s concept of orientation is useful to remind teachers in technical and professional communication that we need to consciously consider inclusion and diversity at the start of our planning. Higher education is so diverse with how students see themselves and their identities. We’ve also known that people learn differently, but what we’ve (in all of higher ed) have not done as well is to recognize that student identities impact how they learn. Being more open and inclusive in our classroom pedagogies is essential. Ahmed’s work helps us see how to open up our pedagogies. The BPCQ article is the start of that by encouraging faculty to simply start to think differently, more inclusively in some practical and applied ways. What technical and professional communication has always done well is put theory into practice. This is just another example of that: taking Ahmed’s theoretical work on identity and putting it into meaningful practice in a way that can impact students. SKO: You advocate for a “concept of an embodied orientation to access/ability” in your article for the TPC classroom: could you expand on this concept and explain how your concept of “embodiedness” shifts our perception or perspective of the body from Nirmala Erevelles’ conceptualization of “unruly bodies” and Rosemarie Garland-Thompson’s idea of “extraordinary bodies”? LM: Over the last few years, I’ve really thought a lot about bodies and embodiment. While I don’t completely buy into the “posthuman” turn running through writing studies, what I do take away from those moves is that we have to always consider the material, physical aspects of things. For me, that plays out in wanting to advance this idea of an embodied orientation to access/ability. What this means is that faculty and administrators cannot lose sight of the actual physical bodies and lives of our students. We talk so often about students and we do that with such sincerity and care, but embodied orientation is asking faculty and administrators to take that a step farther, to push the boundaries of where we are comfortable and address the hard things. So for example, Sara Goldrick-Rab, who is a higher education policy and sociology scholar, has been doing some really solid work on food and housing insecurity in higher education. That’s such a lived instantiation of embodied orientation because it shows her own personal embodied commitment but it also highlights the needs of students in embodied ways. Talking in our programs about these taboo and stigmatized topics are vastly important, but it’s a shift in the way many of us in writing studies and in technical and professional communication have looked at our work. Incorporating an embodied orientation to access means we can’t forget our students have bodies and those bodies are vastly different from one another and from our own. Embodied orientation is also a quite simple concept. How do we as faculty and administrations literally position ourselves—our physical and mental and emotional—selves in relation to our administrative work that guides programs, trains teachers, and directly impacts the access/ability of our students? Orientating our own stance to start with the question: how can we provide safe access to all our students with varying abilities and varying identities and varying lives? How can we create a classroom (and a program) that ensures an embodied orientation to access/ability? As you and I have previously discussed and it’s a project I hope to get back to, is what concrete steps can we take? That’s a key and essential part of embodied orientation because it means we’re taking some sort of action to ensure access. This concept of embodied orientation is a complement to Nirmala Erevelles’ “unruly bodies” and Rosemarie Garland-Thompson’s idea of “extraordinary bodies.” I say complement because I see embodied orientation as a broader term that can house the views of “unruly” and “extraordinary” and whatever else others come up with. What I’ve always appreciated about disability studies scholars and their nuanced work with theories and terminologies around bodies and embodiment is that they make us—other scholars—think through bodies in different ways. Historically, dating way back to documents I’ve read from the 1300 and 1400s, learned men and women have consistently grappled with ways to understand the body because we live in it. That duality of being and living makes it difficult to theorize the body and even more difficult to understand the body when it is different from our own. So Garland-Thompson and Erevelles’ bodies really force scholars to grapple with this uncertainty. Embodied orientation is a way to frame these different bodies from a theoretical standpoint—a literal standpoint, a literal place, a specific orientation—and work through what diverse bodies mean for inclusion. It’s a way to try and put into practice what you and I have talked about, “an ideology of inclusion,” and that ideology needs an embodied orientation. SKO: Could you now also speak to how is this “embodiedness” different from, or not different from “embodiedness” as we tend to employ it in the rhetoric of health and medicine discourse? LM: It’s actually the same. The idea of embodied orientation just shifts based on context. But I didn’t realize that at first. I was working on the final edits to the BPCQ piece at the same time I was working on a piece situated within RHM on something I call patient experience design (PXD). Part of PXD and the importance of it in designing health communication and information is that it has an embodied component. It wasn’t until I re-read both of these pieces recently that I saw the overlaps between them. I hope to continue with the idea of embodied orientation specifically in RHM, particularly around a study where we are “testing” patient/caregiver education materials in a number of diverse settings and with diverse populations. SKO: How would you differentiate your current thoughts on “embodiment” from your earlier explication of the theory of “technological embodiment” (2013a)? I made the early career scholar mistake of using too much of the existing literature to define the term. But I did write a sentence that I still like: “by destabilizing categories of the body, technological embodiment erases differences by focusing on the dispersal of embodiment through technologies” (p. 68). The key difference between this view and my more recent work is that I’ve shifted to just talking about bodies and embodiment without totally addressing the technologies that continue to push on, or disperse embodiment. So in the big ways, I don’t really see a big difference—at least not in my own head and thinking [insert laugh]—between this earlier work and my later work on embodiment. SKO: So, in which direction is this work moving? LM: What I need to return to, and what I hope others pick up, is the critique and analysis around the intersections of technology, in all its definitions, and embodiment. An important strand, in RHM and technical and professional communication, is to use embodiment—an embodied orientation if you will—to think through audiences, which was a point that I made in technological embodiments (pp. 74-76). Merging an embodied orientation to include a consideration of technologies holds promise in ensuring that we have addressed the diverse needs of our diverse audiences. This sort of deliberate and thoughtful starting places ensures a type of inclusion that is necessary in both fields. I do want to point out that this interview has made me think of all of my work in and around embodiment, which I didn’t realize until quite recently was something that I had consistently done. In other words, writing about embodiment has just become something that I do. But in having to think through this interview and the project I mentioned above on patient education materials, I realized that embodiment was a theme central to my work. Absolutely, my work on embodiment can be critiqued and should be, but what I like about it is that you can see the arc in thinking from the original foray in Technological Embodiment to my most recent work “Bringing the Body Back Through Performative Phenomenology“. That arc is important as an example of continued thinking around a subject and learning to push your own thinking in different directions. It’s also important in RHM and technical and professional communication because, as I’ve said a couple of times throughout this interview, scholars and teachers have to consider the lived, real body. That line hasn’t changed in all the work I’ve done on embodiment because that’s why I was drawn to that line of intellectual inquiry from the beginning. SKO: What are some of the specific cross over issues from the BPCQ article that you believe are awaiting translation by another entrepreneurial scholar into RHM research? LM: Orienting is such a lovely word, and particularly the extended and nuanced ways that Ahmed uses it. I really didn’t do her work justice when I used it, but at the same time, she may appreciate bringing this term and it’s many layers and nuances into different fields. For RHM, orienting intersects with something that I’ve briefly written about and am writing about in a larger project, and that is, context. Even though RHM scholars and rhetoric scholars in general have long understood the importance of context, I’ve written recently that RHM has a context problem, which means we need to consider in more nuanced and specific ways the contexts of use for health and medical information and communication. Orienting is a key starting place on understanding the contexts that impact how health and medical information is designed, but more importantly, used. Orienting is also a key term that folks in RHM should think through in terms of their own relationship to their research practices. Many scholars come to RHM through some sort of personal connection to the subject either personally or through someone that they know. While these connections can bring with it important insights, RHM has not begun to think through what these sorts of connections mean methodologically. At RHM the journal, we’re working on starting this conversation through developing a dialogue around the issue, but this is an area that has great potential, particularly through this concept of orienting. SKO: Working from Ahmed’s theories, you not only develop your theory of orientation for the classroom but you also interpret it for the contexts of disability and access. What applications do you see for your theory of “orienting access” in your future work in RHM? LM: RHM scholarship has always had a pretty close connection with disability studies. In the project I’m editing (with some great folks: Rhetoric of Health and Medicine As/Is), we have a section on the relationships between RHM and other areas. One of those essays focuses on the connection to disability studies. Access (like orienting) has such great potential to employ in RHM because access gets played out in so many ways. Beyond the important work of access from a more traditional viewpoint for those with disabilities, access to care is a huge issue and problem that move across different populations and communities. Access is connected to race, class, gender orientation, cultural issues, and literacy so there is so much potential for and in RHM. The great thing about a new field like RHM is that the possibilities are so great not only from a scholarly research perspective but the potential to put the work into practice in localized situations is one of the reasons I have worked in this area. SKO: As we wrap up, could you provide your wide-ranging view of how Sara Ahmed’s work is relevant for some of the primary research questions facing the field of RHM at this time? What possibilities can you outline tentatively? LM: As I suggested above, Ahmed’s work on orientation has much potential for RHM from a number of perspectives. But if I’m thinking through all of Ahmed’s work, I would suggest that there are four potential avenues that RHM scholars could pursue. First, Ahmed’s work as seen in the Cultural Politics of Emotion could be used to better understand experiences of patients, caregivers, health care providers, and other stakeholders in health and medicine. RHM scholars are starting to explore the senses (Meloncon, 2018), which is directly connected to emotions and embodiment. I can see a fruitful conversation between Ahmed’s work and questions around the sensorium, different types of embodiment, the stigma of emotions, and a number of other questions about what emotions do within healthcare encounters. Second, building on the idea above about orienting, Ahmed’s actually adds the terms “objects” and “others” to the title. Those two terms in conjunction with orientation offers RHM much potential. While RHM scholars have focused on new materialism and materialist rhetoric, Ahmed’s use of objects is different because she uses and views objects as a way to understand orientation and otherness. This particular move is vital for RHM scholarship to understand the many instances of “objects” and “others” and “orientation” that pervade the health care complex. Third, RHM scholarship needs to move in practical directions around policy work. While scholars often claim that their findings can influence practice, often times that influence is done in limited and local ways. I am not at all critiquing that important work. But what I am saying is that examining policies is a way that can have broader impact. Health communication scholars have done this to a degree so its important that RHM scholars—not everyone of course but we do need to nurture some scholars in applied work—enter into policy debates. The concepts in Ahmed’s On Being Included can help scholars situate an approach on how to critique and then potentially implement policies in action. Finally, current RHM scholars have engaged with and used much work from feminist theories and methodologies, but Ahmed’s latest work, Living a Feminist Life, has a focus on the everyday experiences of being a feminist and the idea of complaint. Since patients become patients because they have a “complaint,” Ahmed’s work suggests a ripe avenue of research around what a feminist version of complaint may look like in RHM and what that version may mean for patients and their families. Moreover, this stark attention to feminist theory can also expose areas within healthcare where a rhetorical approach can provide insights into how to provide better care. In particular, feminist theory at work in the Ahmed lays out can help with the growing number of field based projects or community based projects by providing researchers a different way of seeing the research site. RHM is a broad and diverse field that at this moment doesn’t have set boundaries, which is a good thing. At the moment, the field is bound by its connections to rhetoric and rhetorical theory and its methodologies (see Meloncon and Scott, 2018). But in more practical terms, what binds RHM together is its attention to the experiences of people. So as I approach thinking through any research question or themes of research that RHM scholars should pursue, it all comes back to how can we better understand the variety of lived experiences. And that’s really what Ahmed’s work is about. SKO: Thank you for sharing your reading of Ahmed and your vision for how her theory can be a useful lens for exploring the problems we are presently trying to tackle in the rhetorical fields of health and medicine. Ahmed. S. (2006a). Orientations: Toward a queer phenomenology. GLQ: A Journal of Lesbian and Gay Studies, 12, 543-574. Ahmed. S. (2006b). Queer phenomenology: Orientations, objects, others. Durham, NC: Duke University Press. Ahmed. S. (2012). On being included: Racism and diversity in institutional life. Durham. NC: Duke University Press. Erevelles. N. (2000). Educating unruly bodies: Critical pedagogy, disability studies, and the politics of schooling. Educational Theory, 50, 25-47. Garland-Thompson. R. (1997). Extraordinary bodies: Figuring physical disability in American culture and literature. New York. NY: Columbia University Press. Melonçon, L. (2013a). Toward a theory of technological embodiment. In L. Meloncon (Ed. ), Rhetorical access ability: At the intersection of technical communication and disability studies (pp. 67-81). Amityville. NY: Baywood. Melonçon, L. (Ed.). (2013b). Rhetorical access ability: At the intersection of technical communication and disability studies. Amityville. NY: Baywood. Melonçon, L. (2018). “Orienting Access in Our Business and Professional Communication Classrooms” Business and Professional Communication Quarterly, 81.1, 34-51. Melonçon, L., Graham, S., Johnson, J., Lynch, J., and Ryan, C., Eds. (under contract). Rhetoric of Health and Medicine As/Is. Columbus, OH: Ohio State University Press. Oswal, S. K. (2018). Special Issue: Enabling workplaces, classrooms, and pedagogies—Bringing disability theory and accessibility to business and professional communication. Business and Professional Communication Quarterly, 81(1). 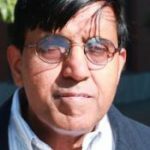 Sushil K. Oswal is an Associate Professor of Accessible Design and Technical Communication at the University of Washington in the School of Interdisciplinary Arts and Sciences, Tacoma and a faculty in the Disability Studies Program in Seattle. 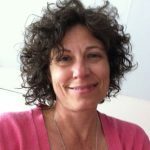 Lisa Melonçon is an associate professor of technical and professional communication at the University of South Florida and the founding co-editor of Rhetoric of Health and Medicine. Her research focuses on the rhetoric of health and medicine, with an emphasis on disability studies and programmatic and professionalization dimensions of the field of technical and professional communication. She is the editor of Rhetorical AccessAbility and with Blake Scott the editor of Methodologies for the Rhetoric of Health and Medicine. For those that will be attending ATTW and/or CCCCs convention, following are some RHM specific activities. Happy Hour, 4:30-: will precede the SIG meeting. We’ll be gathering at the Flying Saucer, 101 E 13th St, Kansas City, MO 64106, which is about .3 from the Marriott. Analysis of the language of medicine and its effects on body, gender, and cultural expectations. This panel illustrates the negotiation of languages, modes, and identities enacted by individuals from intersectionally diverse communities. This panel’s research and theory focus on rhetorical diversity, coauthorship, and ethical considerations in the medical health eld. My poster presentation examines how graphic medicine provides a type of third space to subvert biomedical ways of understanding illness. Integrating Kenyan cultural register into research methods, analyzing illness narratives and public policy, and understanding affective dimensions of wearable tness technologies. This speaker will explore the signi cance of medical tropes in founding the progressivist writing pedagogy. This panel applies rhetorical listening analysis in medical contexts to generate cross-cultural engagement and communication. Eye-tracking study of diabetes patient manuals; patient education to improve cardiac care; analyzing narratives in hospital reviews. This interactive roundtable features short presentations that explore ways that we can foster intersectional connections within our eld. Scholars working across methods and sub elds will offer a toolkit for work in healthcare research and activism for a general audience. This interactive roundtable will engage the challenges of nding, documenting, interpreting, and circulating health stories. Studies of intercultural communication, the role of embodied intuition in medical documentation, and DIY gender transformation. Students disrupt academic language conventions, create engaged and personal multimodal projects, and re ect on illness narratives. I love when my different fields converge in really, really interesting ways, which was the case this past week when an intriguing internal training document from 1996 (that I have not been able to 100% verify) popped up on social media. The merging of fields is that this training material (which is clearly a form of technical/professional writing) is all about how to sell Oxycontin (rhetoric of health and medicine). It’s absolutely fascinating on so many, many levels. From it’s use of “good storytelling” (also known a narrative) using the Wizard of Oz (yes, the Wizard of Oz, which raises all sorts of its own questions and concerns) to focusing in on the need to make a clear and persuasive pitch to physicians. The plan for the presentation is classic rhetoric and it highlights in some really tried and true ways of how to get your message across. The ending with the finding the pot of gold is just priceless! Beyond just this one sentence, the marketing materials are a classic case study in how to use language to persuade people. Ala rhetoric! I don’t have the time right now to do even a mini-analysis that would do this document justice. But, it’s absolutely something that I will use in a number of different classes as an historical case that has lots to teach us about the creation and production of current health communication. But, of course, there are all sorts of other issues raised in this short document not to mention the wide number of ethical issues and concerns related to the drug itself but also in the approach to marketing. Hindsight some 20 years later makes us read this document differently, but it also provides us some important insights into how we should be approaching current complex communication situations ethically. The American Journal of Public Health article,The Promotion and Marketing of OxyContin: Commercial Triumph, Public Health Tragedy, gives some history and current info (with a good bibliography) on the marketing of the drug.